Ohio death row inmate Ronald Post shot and killed a hotel clerk in northern Ohio almost 30 years ago. Post, 53, is scheduled to die on 16 January for the 1983 shooting death of Helen Vantz in Elyria. A spokeswoman for the prisons department had no comment on the pending litigation. In 2008, federal courts rejected arguments by condemned double-killer Richard Cooey that he was too obese to die by injection. Cooey’s attorneys had argued that prison food and limited opportunities to exercise contributed to a weight problem that would make it difficult for the execution team to find a viable vein for lethal injection. 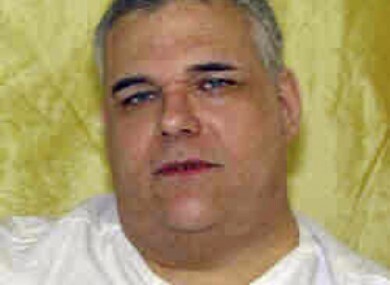 Cooey, who was 5-foot-7 and weighed 267 pounds, was executed on 14 October 2008. Medical personnel have had a hard time inserting IVs into Post’s arms, according to the court filing. Four years ago, an Ohio State University medical centre nurse needed three attempts to insert an IV into Post’s left arm, the lawyers wrote. Email “Man who weighs over 34 stone says he's too obese to be executed ”. Feedback on “Man who weighs over 34 stone says he's too obese to be executed ”.